Originally home to the village's Fire Station, The Partridge was also the local Inn and hotel for those that came to the town via train. 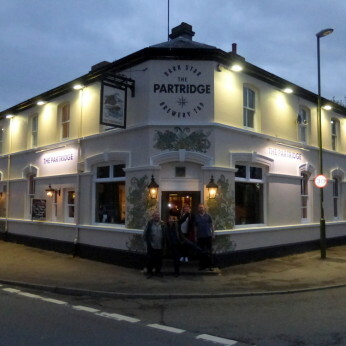 The trainline may have long since gone, but those walkers and cyclists taking advantage of the Downs Link use The Partridge as a great stopping point for a drink and bite to eat. The kitchen has a dedication to making all dishes from scratch, using the freshest ingredients. And there's lots of beer, or course.